In 2018 Philea proposes the equipment loan : a medium term loan, essential to any cooperative gathering farmers. It is a financial solution that allows growers to work their way up the value chain of their production and to eventually enhance their income in a sustainable way. This type of loan includes important risks that social investors and other players in the social economy are scarcely willing to incur by themselves. Philea can guarantee the exposure to such investment risks. Therefore it can offer such services to cooperatives with innovative projects that are crucial to their members, at advantageous rates and with non-binding deadlines. Maturity: 5 years with a 3-year extension. Rate: defined case by case according to countries, currency and risks. 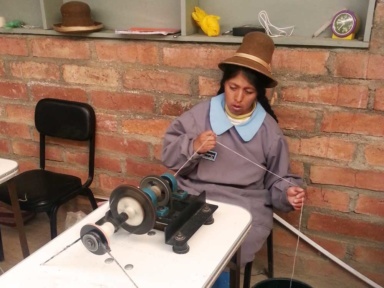 In 2018, a first equipment loan operation was launched in favour of COOPECAN, a Peruvian cooperative of 2,100 Alpaca breeders. The objective of this investment is the acquisition of a new weaving unit (land, building, machinery) for the cooperative, whose facilities are currently located on leased land. Thanks to this loan, COOPECAN will be able to move its facilities to its own land, thus increasing the margins on the marketing of its products. The duration of the operation is 5 years. Faithful to the principles of the Social Solidarity Economy, Philea offers direct credit to its beneficiary members. Such proven financial services allow beneficiaries to boost their short-term operations while allowing Philea to diversify the risk of its portfolio. Direct credit represents a way for cooperatives to pre-finance their agricultural campaigns and gives microfinance institutions the possibility to make credit more available to their members. Shares: acquisition of shares for an amount equivalent to 5% of the amount of the loan. The agricultural services cooperative Tocache Ltda was founded in 1987 by small cocoa producers from San Martín department in the province of Tocache, Peru. 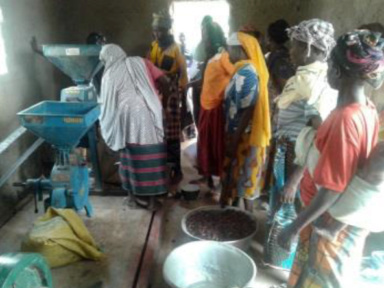 The cooperative currently has 250 active cocoa producers, of whom 24% (107) are women. The objectives of the cooperative are the marketing and export of Fairtrade labelled organic cocoa and conventional cocoa. The 2,485 hectares dedicated to cocoa allow the marketing of 650 tonnes of organic and Fairtrade cocoa and 1,600 tonnes of conventional cocoa per year. In addition to growing cocoa, which accounts for 80% of the producers’ income, members also grow bananas and palm trees. 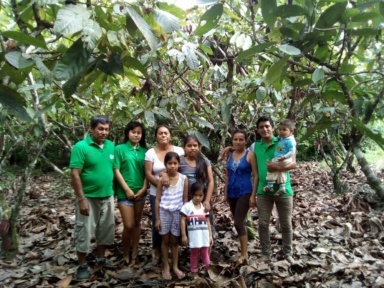 PHILEA entered into a partnership with this cooperative in 2016 to support its members’ cocoa marketing campaign with a first direct credit of USD 100’000, which allowed Tocache to buy cocoa from its members before it was commercialised in Switzerland and Italy. The operation was renewed in 2017. Bank guarantee was for long the flagship product of the cooperative. It eventually gives its member access to the domestic banking system, while covering part of the risk incurred by the local bank and avoiding currency risk. It proves to be especially useful for small structures that hardly have convincing financial or material guarantees for commercial banks to grant them a loan. 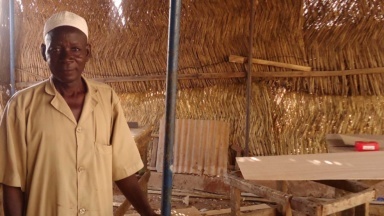 Just like direct credit, bank guarantee represents a way for cooperatives to pre-finance their agricultural campaigns and gives microfinance institutions the possibility to make credit more available to their members. Currency risk: the guarantee makes it possible to eliminate the exchange risk for the member. The Association Promo-Monde Rural(APMR), based in Sapouy, Burkina Faso, operates in the province of Ziro in the fields of health, education and agriculture. In the field of health, the focus is on raising awareness among communities about family planning and the fight against the scourges of HIV / AIDS, tuberculosis, malnutrition, excision… In the field of education, the APMR has a vocational training centre for people in difficult situations, whether they went to school or not. On the agricultural front, APMR works with 2,411 members including 2,325 women and 86 men from 105 groups. Each group manages a collective field where they grow cowpeas, maize, groundnuts, sesame, sorghum, millet and rice. In addition, each woman has an individual field to support the daily needs of her family. APMR initially received support from Philea as part of the financial education training program funded by the Geneva Federation of Cooperation (FGC) and the World Food Program (WFP). “This training helps a lot, since it allows groups to be autonomous, to have working capital, to avoid credit, with professional and friendly people”. In 2016, Philea granted APMR a first bank guarantee of CHF 23’000 to enable it to access a credit from the Burkina Faso Credit Union Network (RCPB). This credit financed the purchase of 95 tons of fertiliser for its members, which could be fully reimbursed. The operation has now been successfully achieved. Philea offers technical support services to its members. This support can be implemented by Philea itself or via its local correspondents or be provided by a third party. It aims at reinforcing Philea’s members in order to reduce financial risk and allow them to develop on a solid foundation. The format and content of this technical support are determined on a case-by-case basis. The purpose of financial training is to teach households appropriate practices in terms of daily financial resources, thus reducing the risks of over-indebtedness. These modules address beneficiaries, leaders or employees. They are implemented by the cooperative’s local correspondents. As a first step, the consultants train facilitators in the involved institutions so that they are able to transmit the content of the training to the final beneficiaries. The duration of training of facilitators as well as that of final beneficiaries varies according to their level of education and their needs. It varies between 3 days of training for facilitators and a whole day for replication with beneficiaries. It involves raising awareness and disseminating practical management tools, rather than actual academic training. 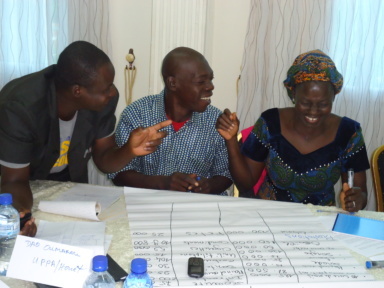 Philea is currently conducting a financial education program with 4 farmers’ organisations (FOs) in Burkina Faso. The local correspondent initially organised a training workshop for 12 facilitators selected by the FOs. These are then responsible for conducting training with groups of 25 members. At the end of the project, 1’000 members per FO will have participated in awareness sessions. The facilitator is also in charge of monitoring the members who have followed the training and the collection of their savings.